Electric Underfloor Heating provides the highest quality underfloor heating solutions for residential and commercial properties. We cater to both the trade and general public, offering trade accounts to companies that require 30-day invoicing. All our products are available for free delivery across England Scotland & Wales (excluding certain locations), with most of them being available for next day delivery. Call us now on 01473 276680 to discuss your project requirements. 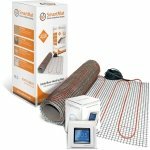 We understand the importance of installing electric underfloor heating correctly which is why we offer installer guarantees and lifetime warranties on all Harmoni SmartMat products. We offer a user-friendly experience from purchase to installation and can confidently advise you on the most suitable underfloor heating solution.